Links from our retail sponsors and affiliates. Purple is such a regal color for weddings, and a great color to wear for mothers of the bride and mothers of the groom. You can find purple gowns, and cute cocktail length dresses spanning every shade from lavender to blackberry. I’ve created this selection of hand-picked purple mother of the bride dresses for weddings for mother of the bride and mother of the groom by collecting the best purple dresses from several popular retailers and designers. I hope these picks will help you find the perfect look, whether that is a formal gown for a mother of the bride in eggplant, or a short lavender dress for a daytime wedding. 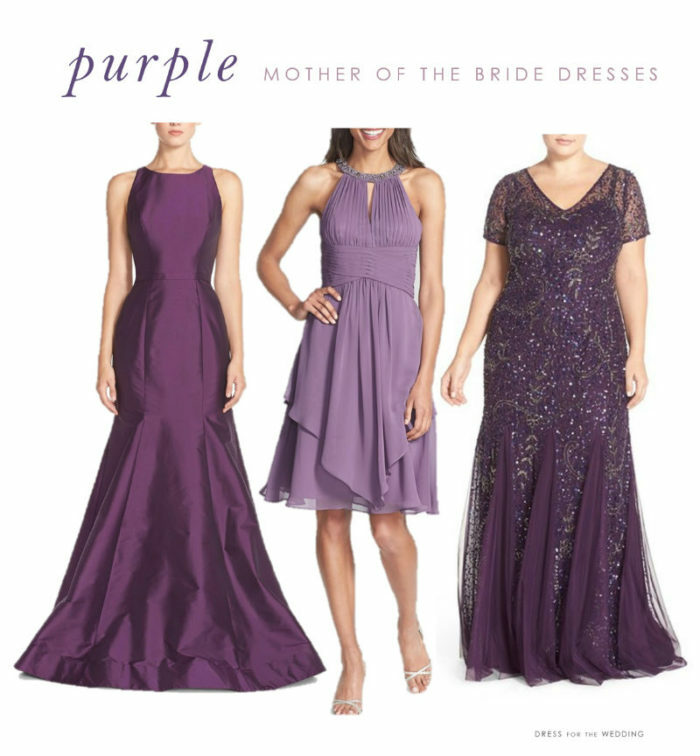 These selections for purple dresses for mothers of the bride are from my affiliated shop partners and sponsors. Find yourself a gorgeous purple dress for the mother of the bride! Shop section uses affiliate links from retail sponsors. Here are some of the purple mother of the bride dresses we’ve featured on our Pinterest boards.